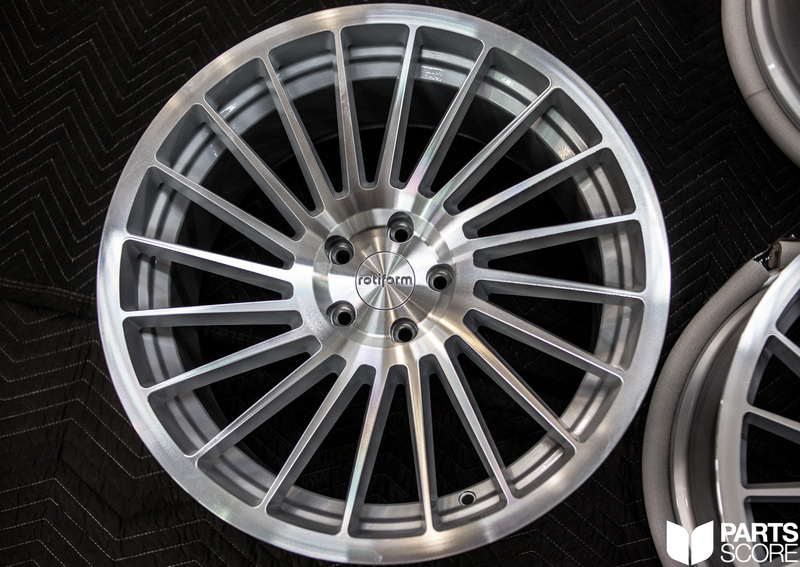 After the H&R Coilovers were installed on the Project Parts Score Audi B9 S4 the next item on the list was a set of Rotiform Wheels. 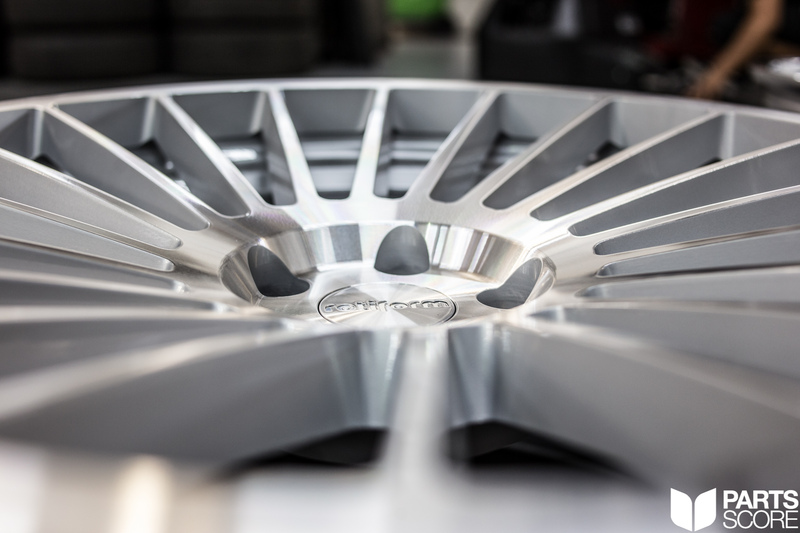 When we first saw the B9 S4 in Glacier White Metallic we knew exactly the direction we wanted to go with the Rotiforms. We decided on the Rotiform INDT Wheels in Silver Finish as in our opinion they pair perfectly with the lines of the newly sculpted body on the B9 and in addition the red center caps match the Magma Red quilted leather. Moving on to fitment, we wanted to have the most extreme setup and still preserve all of the factory drivability and performance of the B9. Having these requirements led us to go with the INDT’s in 20″ X 10″ square. 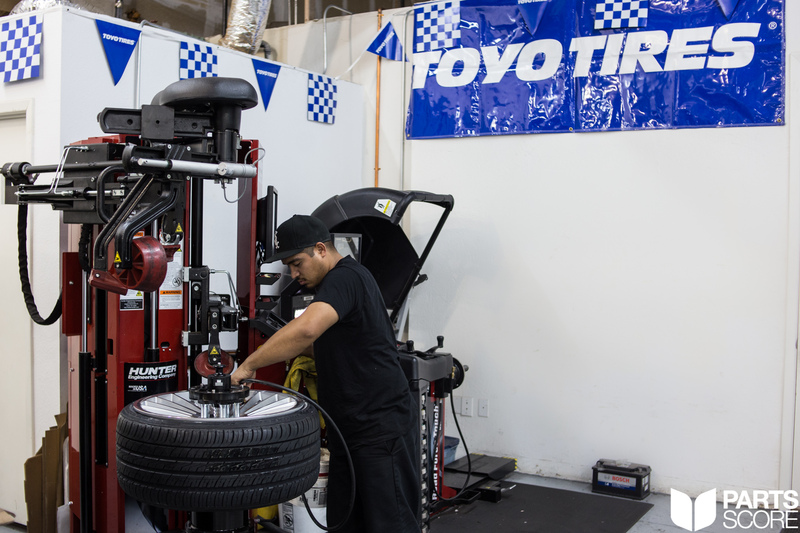 When it comes to tires we wanted to have the best street setup that gave us something both sticky and long lasting, this lead us to choose the Toyo Proxes 4 Plus tires in 255/30/20″ for the S4. The Toyo Proxes 4 + are an Ultra High Performance All Season tire that delivers incredible grip without sacrificing longevity. During the installation we were all very excited to see the results as Parts Score is the first shop in the nation to come up with a setup like this on the B9 S4. Because of this we have documented the entire installation below. 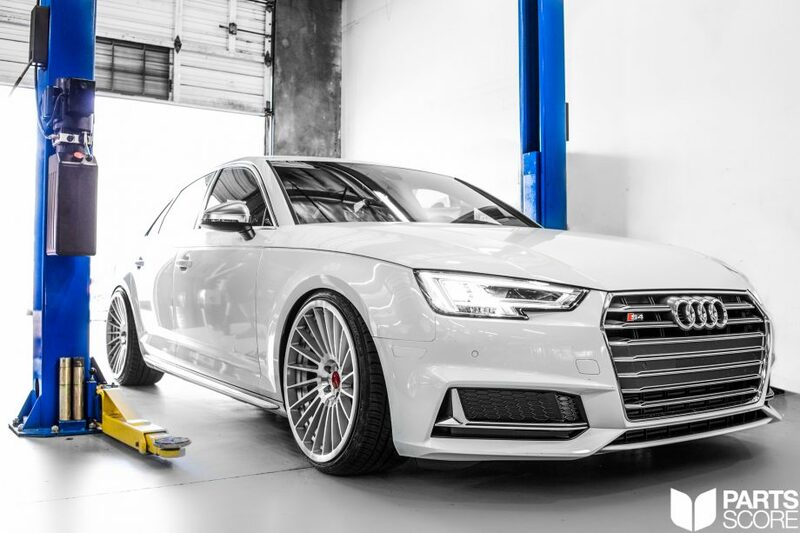 Contact us now at contact@partsscore.com or 602 814 6543 and ask one of our fitment specialists about equipping your B9 S4 or B9 S5 with a set of Rotiform Wheels and Toyo Tires! Closeup of the concavity of the 20×10 INDT’s. The silver center caps have to go, red ones will go in their place. All four Toyo Proxes 4+ tires mounted on the 20×10 Rotiform INDT’s. BAM! Mounted on the B9 S4! This setup is super extreme. 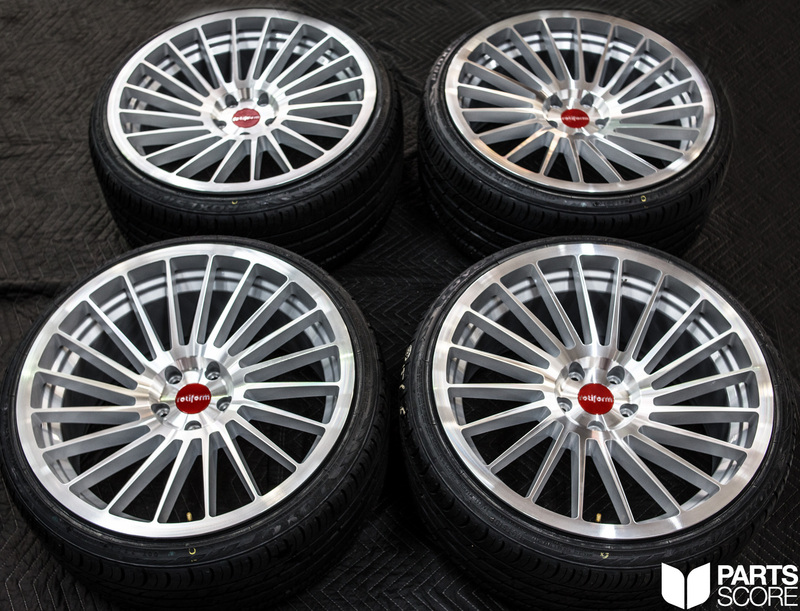 Stay tuned for a full glamour photoshoot of the B9 S4 on these Rotiform INDT wheels and H&R Coilovers.